Addiction is a complex but treatable disease that affects brain function and behavior. 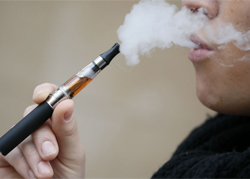 Nicotine dependence — also called as tobacco dependence — is an addiction to tobacco products caused by the drug nicotine. Nicotine dependence means you can|t stop using the substance, even though it|s causing you harm. Navicare with its team of de-addiction specialists and experience can help you lead an addiction free life that affects you and your family. We always believe that the patient needs to be motivated and ready to quit. Thus at times it is important to bring the patient into the contemplation stage. Research has recommended a minimum of 3 months to 6 months depending on the level of addiction for treatment.